First, and perhaps worst for a creative project on Kickstater, I’m not already an internet celebrity or famous person, and my project had not already been successful elsewhere. There is no built in audience just waiting to snap up the new addition to my IP’s family, or my next big thing. An internet cartoonist named Ryan North, who has a large fan following, recently launched his “choose your own adventure” type book project called To Be Or Not To Be:That Is The Adventure, and raised over $580K (It was a book based on Hamlet which also qualifies him for a spot under the next listing). Bunny is not famous and neither am I. I could find no workable, legal way to get either of us to be famous before launch, so I just went ahead anyway. Second, my story is not a retelling of a cherished (in the public domain) classic tale, nor was I ripping off someone else’s intellectual property to make a “fan-fiction” book, parody, or web series. One is far less likely to achieve financial success by launching a new IP than they are by working with an existing, successful IP. This is why all the big movies we get today are sequels and franchises. Hollywood is not out of new ideas, audiences just don’t support new ideas enough for studios and producers to invest in them very often. New ideas are bad business – in the short run. A recently concluded Kickstarter campaign raised over $64K for a woman to do a graphic novel based on Peter Pan. Another campaign that is ongoing and has surpassed its goal with almost $25K pledged at the time of this writing, is for an “unauthorized” web series about Batman’s sidekick Robin. I chose to work on and promote my own IP – It’s a much tougher, longer road to success. Third, my project was for a format that is new and not widely understood. I’m creating an interactive story. “Huh? Is it a video game?” No. “Is it a graphic novel?” Nope. “Well it’s for the iPad, it must be a game!” No, seriously it is exactly what I said it is in the presentation: ‘an interactive story that lets you pick your own path – just like a choose your own adventure book but with nice animations, sound effects and music!’ “Nah… you lost me. I think I’ll go pledge to that Peter Pan graphic novel, I KNOW what a graphic novel is.” Yep, it’s a hard sell when you’re selling something folks don’t understand. Fourth, the funding goal of $25K might have been perceived as being too high by visitors to the project page. After all, the median household income in the US in 2006 was just over $50K per year. But, if I was creating this project for a client, the fee would exceed $200K, so I felt my $25K goal was not excessive. Also, a similar project funded for over $44k last June. I work in the software biz. It is not cheap to make this kind of stuff. This is way more work than putting together a graphic novel or a web series (most web series, anyway). But nobody pledging cares how much work goes into something (nor should they), they only care about its perceived value. That perceived value goes up if you are already internet famous, or if you’re using an established IP, as I stated above. Costs is costs however, and committing to doing this project for under $18K, which is about what I would have received had the project met its goal, after paying for all the fees, taxes and rewards, would have been foolish. I set the funding goal where I did because it was the bare minimum amount I needed to finish the project. Win or lose, you go cheap, you regret it later. First, more people have seen my Kickstarter campaign than ever knew about my other projects that didn’t made it to market. I am endeavoring to make a name for myself as a creator not just a creative business professional. I’ve had a successful career in production and marketing, mostly because I’m very creative. Still, I’m thought of only as a “marketing guy” or a “production guy” by many of the folks I’ve worked with, not as a “creator guy.” In order to be thought of as a “creator guy,” I need to have a number of things I’ve personally made out in the world where people can find them. Launching Bunny on Kickstarter got the project out there. I previously spent four years producing and co-writing a movie that almost got made (thanks 2008 financial crash!). I’ve spent years on other projects that have yet to surface. Nobody cares about screenplays that haven’t been produced or games that haven’t made it to market. During my Kickstarter campaign for Bunny, I was contacted by a representative from MAXON, the makers of the professional 3D modeling and animation software I used to create much of the project. They saw the promo and wanted to talk to me about my work and helping me to promote it. Now I look forward to developing a long-term professional relationship with them. If I hadn’t launched the project, they would not know anything about me. By the way, Cinema 4D is a fantastic product and the folks who work there, and their user community are second to none, thanks guys! Second, I’d rather fail on Kickstarter with a project I put together in six weeks than fail in an App store with a project I worked on for six months. If it don’t have legs on Kickstarter, it’s probably not going to set the world on fire in general release. The project, as-is, just didn’t capture the hearts and minds of the general public. A very low percentage of the people who viewed the promo video decided to pledge. That’s a clear message. I need to do more. It’s not ready for prime time. I need to build the IP and the brand then reach out when people understand what it’s about. Third, how do you get noticed under a crushing tsunami of content? – Go somewhere else. Figuring out the chicken and egg of establishing a new IP in a hyper-saturated environment is a daunting task. How do you get the word out without a large marketing and PR budget? There’s simply less clutter on Kickstarter than on any other major launch platform that I’m aware of. According to YouTube, over 103,000 hours of video are uploaded to their site every day. You think you’ll get noticed? You may hit the lottery too. Hundreds of new apps make it to the iOS and Android app stores every day. Both stores claim they now have over 700,000 apps available. Wow – just TRY to get noticed there all by yourself. No thanks. Also, most apps never earn more than $8.5K per year for their publishers, which means most apps lose a lot of money. So, launching on mobile, you face more work and bigger loses. Been there, done that. Trust me, for the vast majority of software developers, failing at a Kickstarter campaign would be getting off easy compared to making an app for a mobile device. What else? Bunny was chosen as an official Kickstarter Staff Pick. Now that is something I can use. It is a credential that I covet. Less than 8% off all the projects on Kickstarter are chosen to be a staff pick (such was the case when Bunny was live). This is something I can use when pitching the screenplay or other projects for Bunny to investors. That, to me is great validation and it is gold. While the project’s funding was not successful, creating and launching the project still achieved many of my goals, and I feel it was well worth the effort. Bunny and I also received enormous support from many individuals throughout the campaign, and for that I will be eternally grateful to them. 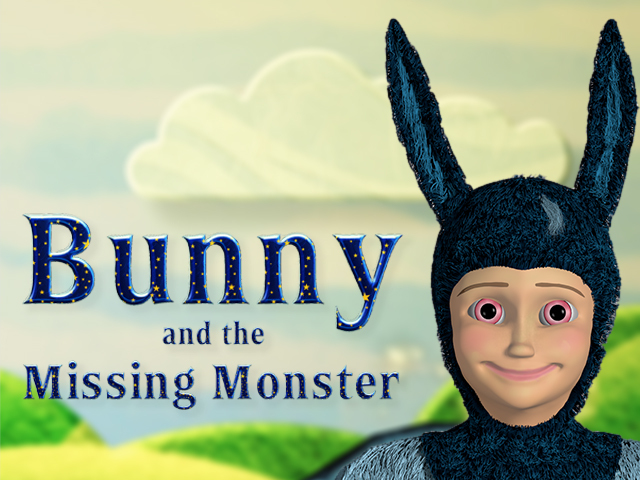 This will not be the end of Bunny, I’m currently 80% of the way through a first draft of a live-action screenplay for a Bunny feature film and I plan on developing the IP further. I have no regrets, I did a bunch, learned a bunch and had a great time doing it. Would that everything in my life went as well as my “failed” Kickstater campaign. What do you think? Am I delusional or do I make some good points? Let me know in the comments below. Thanks for reading and good luck with your own projects, Kickstater and otherwise.